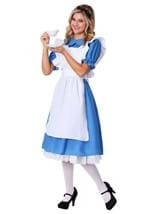 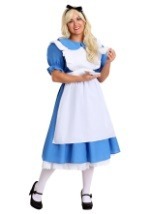 If you spend time dilly dallying about you might be late for your appointment in Wonderland! 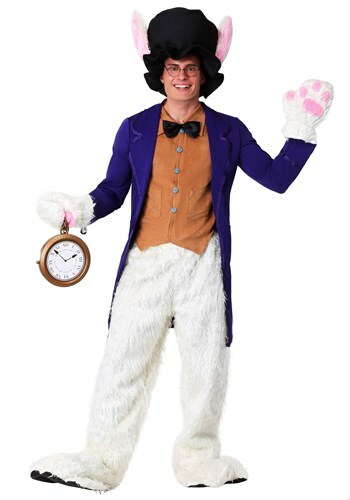 This mens white rabbit costume includes faux fur pants and a brown ultra-suede vest with blue buttons fits over the top of the pants. 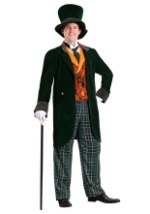 The vest is also decorated with a satin black bowtie and two front faux pockets. A purple nylon long-sleeve jacket with decorative trim goes over the top of the pants and vest. 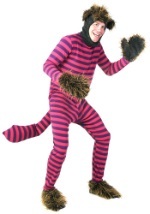 Your feet and hands will also be covered in the same white fur as the pants with the included fur mitts and oversized shoe covers. 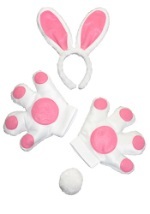 The shoe covers have vinyl bottoms and a pair of felt slippers to keep your feet cozy inside the shoe covers are also included. 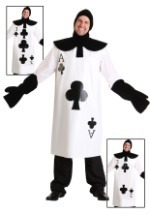 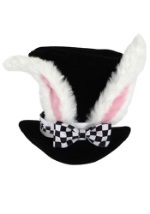 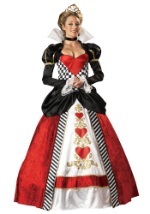 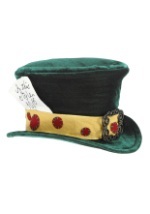 As a finishing touch to this already wondrous costume is an included black top hat with attached rabbit ears. 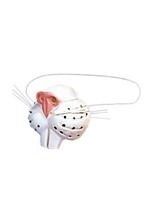 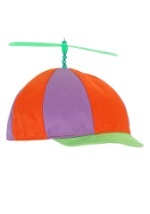 The hat is fully lined and secures to your head with an interior elastic strap. 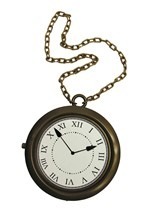 Make sure to add a clock accessory to your order so you can always know whether or not you're late!